With an extensive background in the translation of European and Asian languages combined with many more languages across the world, here at Stepes we offer a truly global translation service. We match your content to a community of over 50,000 native-speakers offering translation in over 100 different languages, ensuring the right translators are working for you. 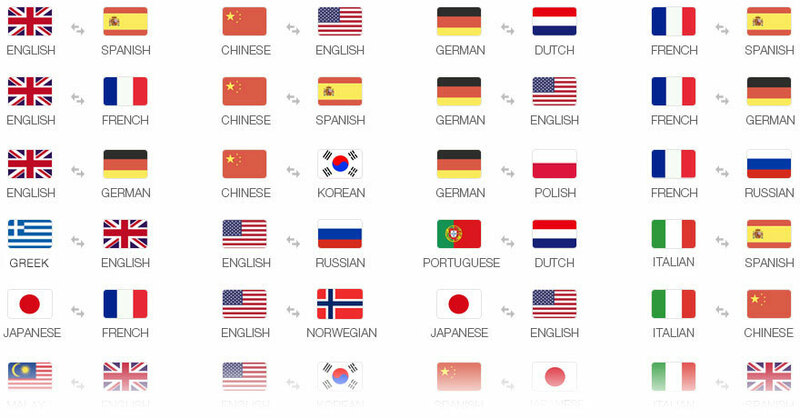 We translate it a wide range of language pairings with projects only ever being conducted by pre-certified translators to guarantee the best quality. Stepes understands the importance of quality in translations; therefore we ensure our translators are only ever working within their target languages to guarantee that their expertise is made relevant. We implement a rigorous recruitment process which identifies only the best translators to progress in becoming a Stepes Translator and are always looking to expand our translator network so as more linguists become certified for Stepes, more language pairings are likely to become available. Stepes has extensive experience in European and Asian languages along with many more languages across the world, giving you a truly global translation service. We match your content from a community of over 50,000 native-speaking Stepes Translators and into over 100 different languages, ensuring the right translators are working for you. Sometimes finding a translator for a specific language pair is not the only challenge – your project may also require specific skills or industry experience. That’s why our network consists of experts in a variety of fields, from marketing to technical to legal translation and many more! Looking for any other type of expertise? Contact us to discuss your needs. Word limits, informal speech and industry specific jargon. A one-size-fits-all approach will never be appropriate for translation and that’s why we use human translators to ensure your translation is suitable for the task in hand. Whether you’re looking to translate a social media post, a blog update or an official document, simply use Stepes to specify the purpose of your document and our translators will guarantee it’s ready to be shared with the world.